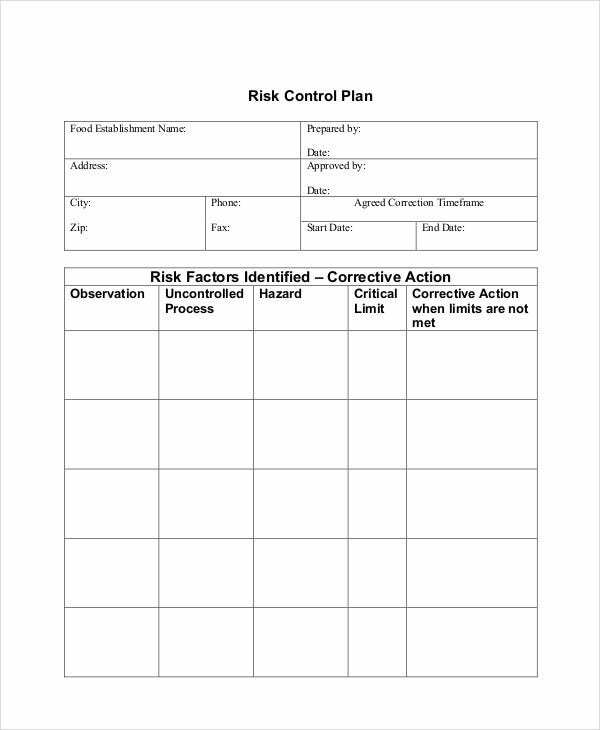 A risk action plan is used to avoid the occurrences of risks in the business operations of the company and the processes that may be done to serve as counteractions should risks be present. 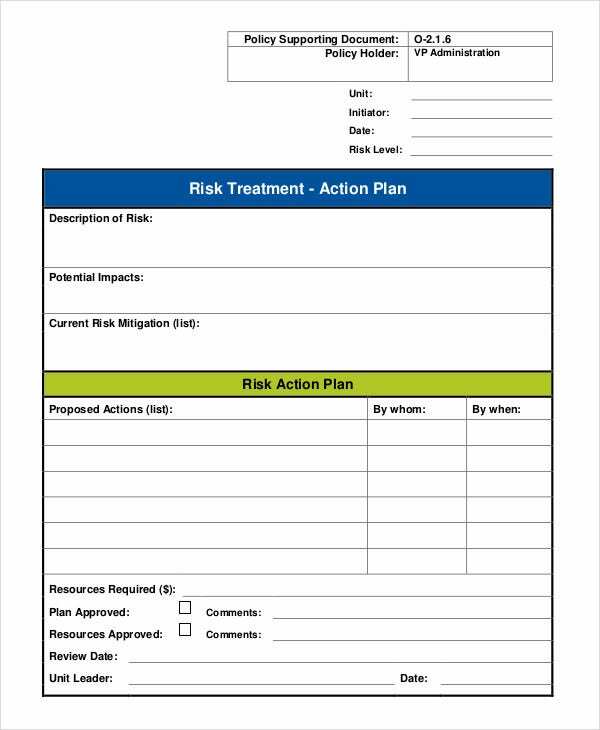 A risk action plan template helps in developing action courses to minimize potential risks and avoid its impacts that can negatively affect the business operations. 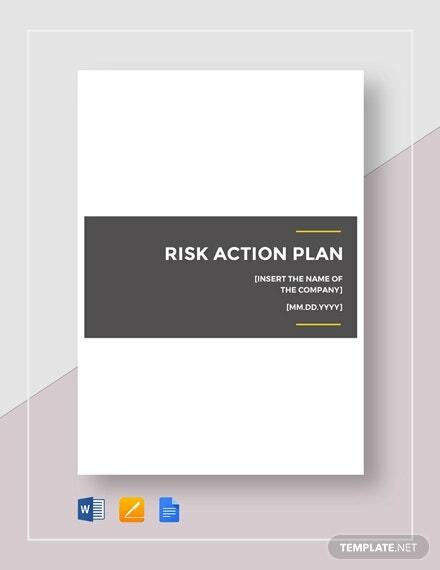 If you want to create a risk action plan to be used by your company or an organization where you belong, you may download our risk action plan templates. 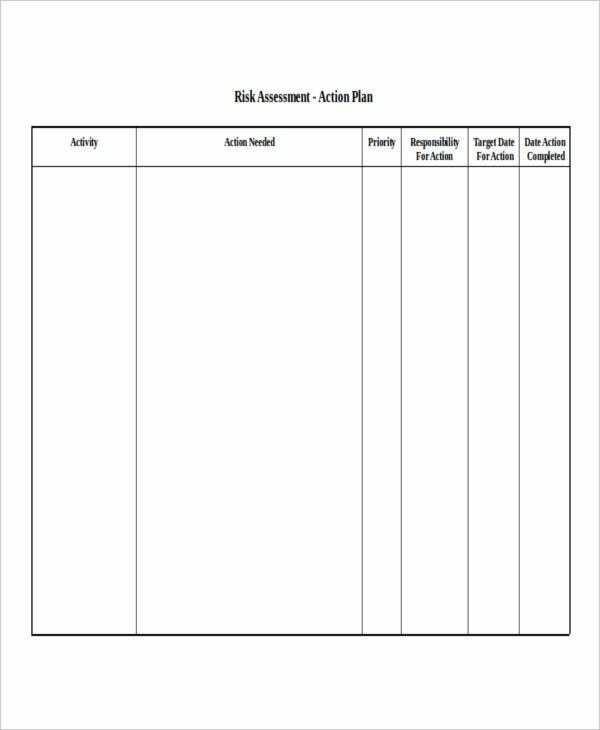 We can also provide you with different Action Plan Template samples, which you may use as references in creating various action plans that can be implemented in any processes that you are involved in. 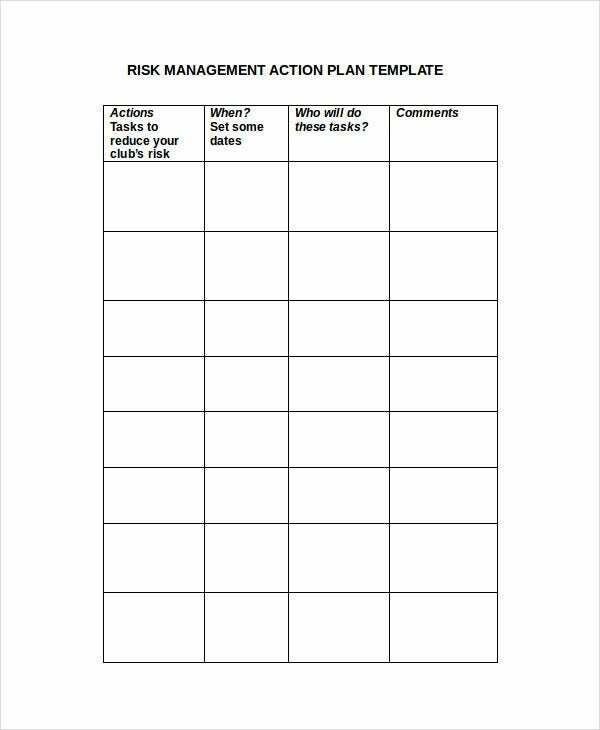 Aside from our risk action plan templates, you may also browse through our downloadable samples of Risk Management Plan templates. 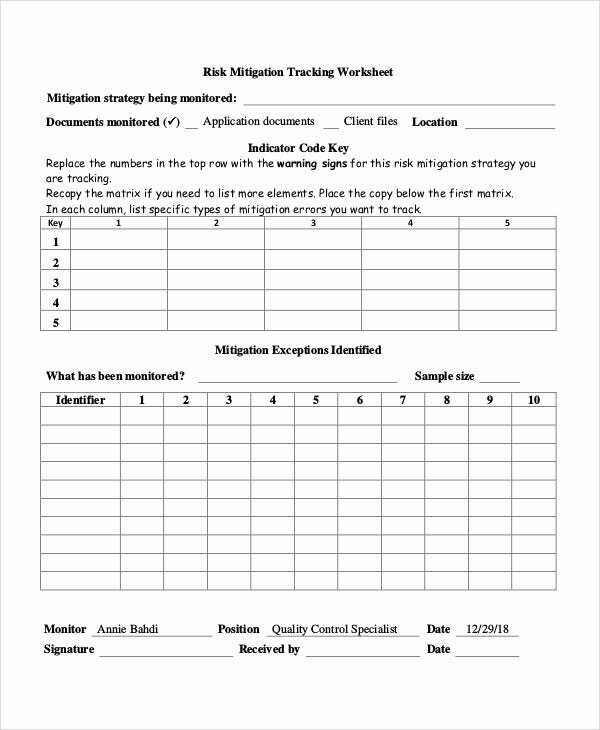 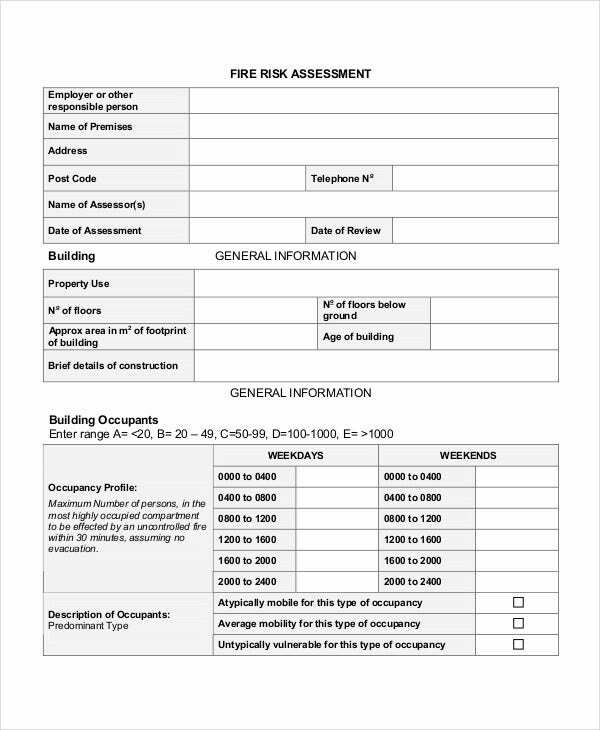 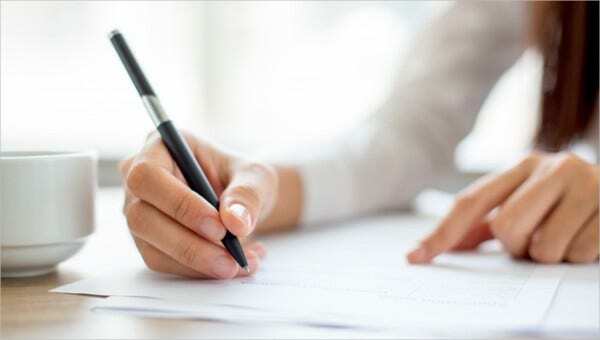 The assessment of these items will help the effectiveness of the risk action plan and the implementation of the items written in the said plan. 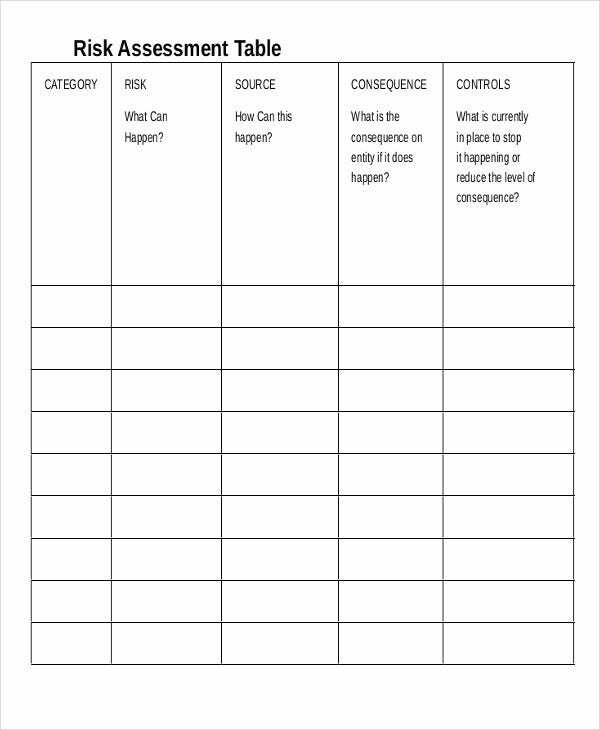 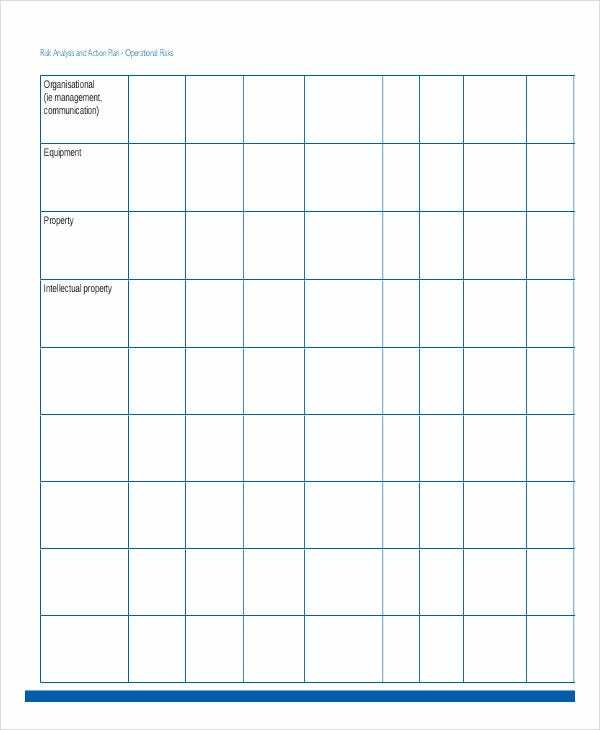 Other than our risk action plan templates, you may also be interested to download our samples of Crisis Plan Templates.